Vanguard University soccer alumni and coach, Nikki Dunn, shares with us her journey with college soccer. She learned how much she needed to give up control to God and TRUST His plan for her. She learned how much she good give her stress up to God and to not be complacent in her faith. And also, that college soccer can be HARD! She has some awesome encouragements for you today. Listen in iTunes HERE or Spotify HERE. Do you ever get so nervous and anxious that it affects your performance? Yeah, ME TOO!!! Today in this 10 minute episode we talk about THREE practical tools to combat performance anxiety. Ep. #34 - Is God Taking Root in Your Life? Do you go to church on Sunday and then forget all about God by Monday morning? Has your devotional time with God been distracted and... a little dead? And it’s really not influencing your life at all? In this 10 minute episode we break down a passage in the Bible! This is an episode about checking in with yourself and taking inventory of how you have been receiving God lately! Listen in iTunes HERE and Spotify HERE. Podcast host Natalie Lawrence interviews her husband Trevor! We talk about our love story and how EVERYTHING changed when we individually started to follow Jesus. From high school sweet hearts, long distance dating, and now marriage! NOTE: This is note a "success" story. Instead, we hope that you will be encouraged to hear a story of God's faithfulness! We want to share our story to shed light on how important it is to have Jesus the main thing. 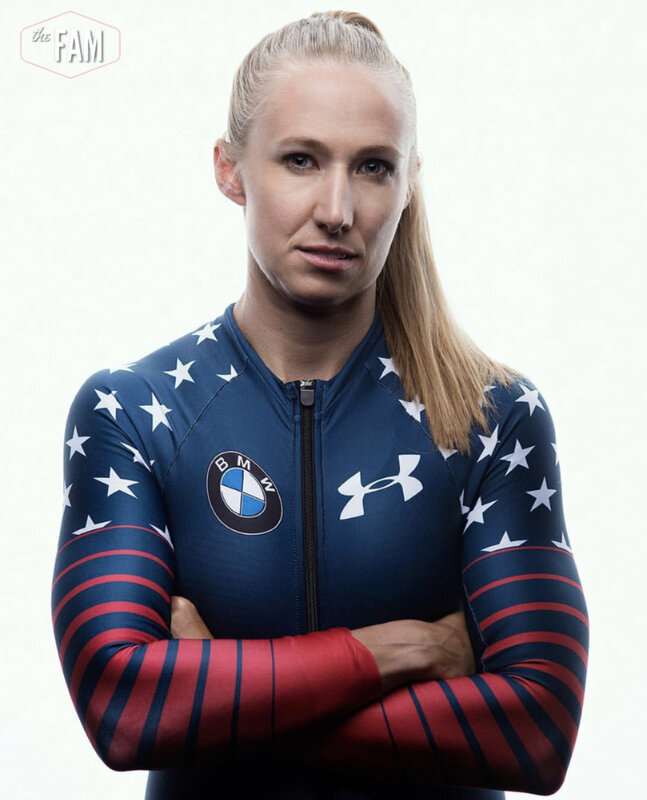 Team USA Bobsledder, Brittany Reinbolt, has always been a self-starter. She decides what she wants to do and she goes after it! After moving from the East Coast to California to play women's pro football, she eventually found herself intrigued with the sport of bobsledding and began to pursue the US team! AND SHE DID IT. During this interview we talk about what it's like to bobsled and what it's like to keep Jesus at the center of her sport. Listen on iTunes HERE or Spotify HERE. Lauren Petrilli is a retired professional dancer - ATTENTION: She was on tour with Justin Bieber!!! Lauren grew up in a conservative church that didn't understand dancing as a sport. She often felt judged, accused, and misunderstood. During this interview, Lauren walks us through her story as a dancer, how she was able to be strong in her faith amidst it all, and the ultimate decision to walk away from dance. Redshirt: (Noun) a college athlete who is withdrawn from college sporting events during one year in order to develop skills or heal an injury, and extend the period of playing eligibility by a further year at this level of competition. Many college athletes redshirt. And it is not an easy process. University of the Pacific soccer player, Melissa Ma, has a crazy redshirt story. Listen to her whole story and be encouraged and inspired! Listen on iTunes HERE or SoundCloud HERE. In high school and college it's easy to feel lost... "Who am I? Who am I supposed to be?" Today's guest, Kristin Stockfisch, is passionate about helping young women find who they are. She is an Arizona State volleyball alum and used to be on staff with Fellowship of Christian Athletes. Whether it is from her own journey of self awareness, or working with other female athletes, she has so much wisdom. Listen for practical tools to find out who you are and who God has created you to be. Listen on iTunes HERE and Spotify HERE. This season can be a great time for goal setting! It's a great time to look forward and dream about what the future can look like. However, it can also be a time of disappointment. It can be a season where you look back and see how many goals you set LAST year and never completed, or things you have longed for and prayed for last year but haven't come to fruition. I am someone who has prayed for the same things for years. God, WHY HAVEN'T YOU ANSWERED? If this resonates with you about anything, I have THREE encouragements for you. Listen to hear 3 encouragements when you feel like your prayers are not being answered. Maybe you are thinking "I hate my body" and you want to change. We have a solution for you!! Don't change your body, change your mind. Today's guest, Julia Patton has been through the cycle many times but eventually realized that it wasn't her body that was "wrong," but rather the way she was thinking. We hope this conversation sparks something in you. And remember, if you want to get your body bikini ready, all you have to do is go buy a bikini and out your body in it. NARP = Non athlete regular person. Amy Lawrence is a Master rower. 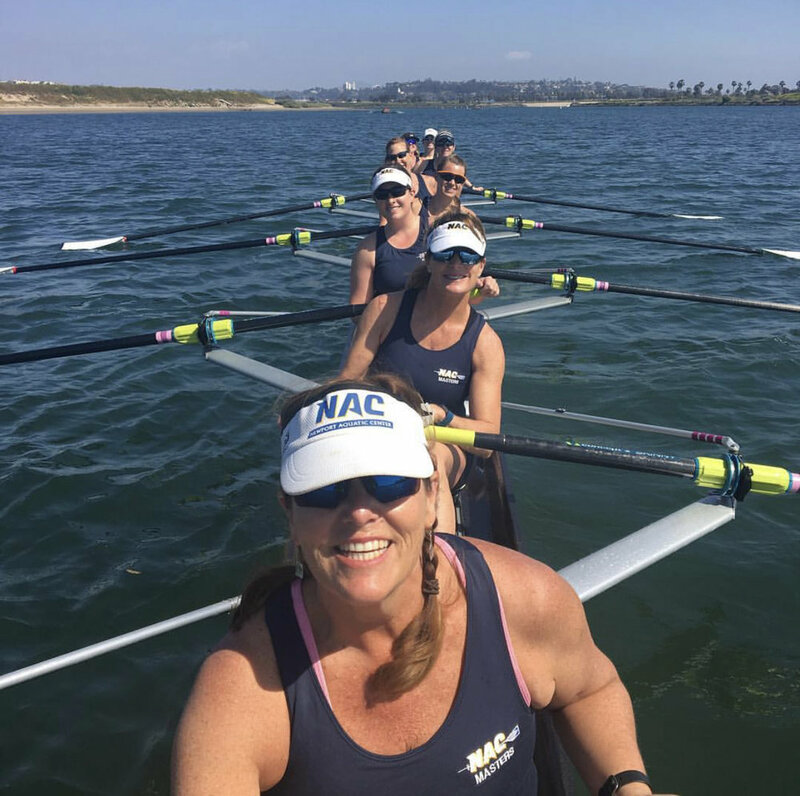 When her youngest son was 10 years old she decided to get back into the sport she loved in college: she joined a competitive women's rowing team! You are going to be so inspired by Amy and the group of women she rows with. It's never too late to pursue your sport. We joke about becoming a NARP here on the FAM and it feels like a death sentence! But Amy proves us all wrong and shows how you can be an athlete for the rest of your life. Natalie played soccer at Libscomb University in Nashville, Tennessee. 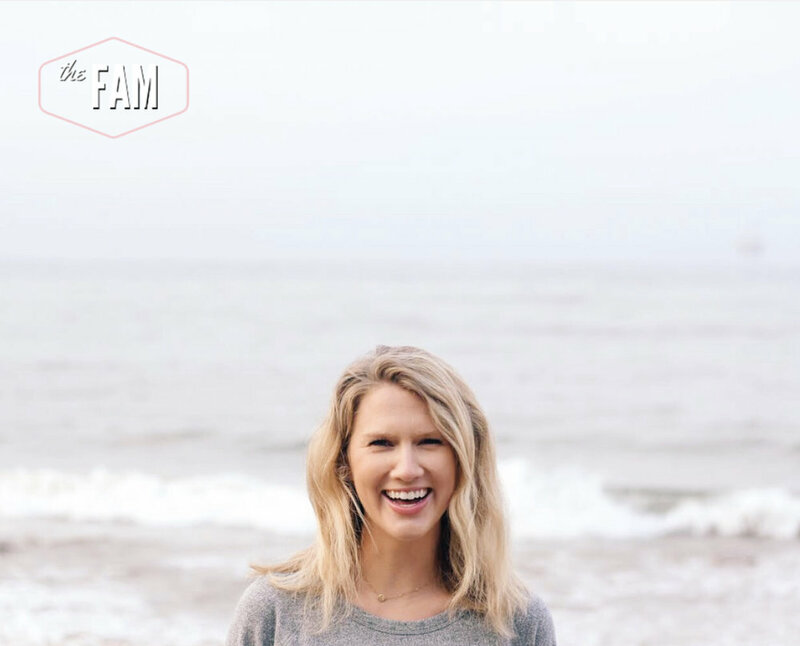 Today on the podcast she shares why she chose a Christian college and how much God taught her through her college career. KJ’s story is about college soccer, the need to be the best, and concussions. But ultimately, it’s a story about how nothing can satisfy our hearts the way that Jesus can!! KJ played college soccer at Houghton College and then transferred to play at Westmont College where she finished her career. Now she works for Circuit Riders (YWAM) and is on a mission to reach this upcoming generation for Jesus Christ! Southern California native, Sierra Christopher, went across the country to Illinois to play soccer at Trinity Christian College. After recently graduating, she is reflecting on how hard it was too go so far from home for school, and then to transition back when your sport ends! We talk about all details and practical encouragements for anyone going through that same transition. You are not alone! 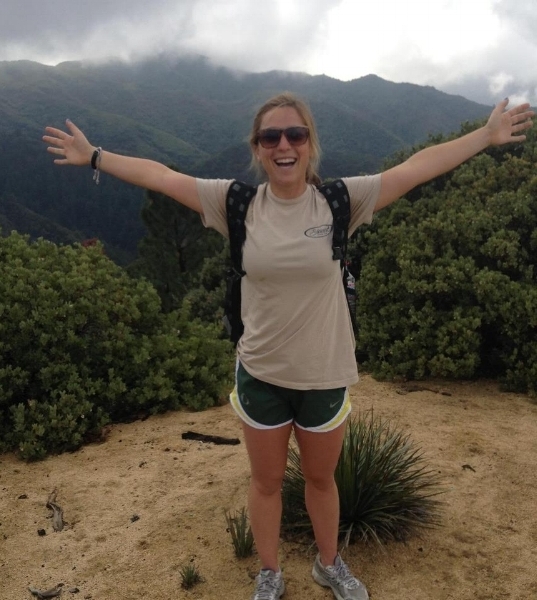 Point Loma alum, Michelle Eastman, has spent the last few years as a missionary bible teacher. She is wise, passionate, and hilarious. Whether you regularly read the Bible or you have never even opened one, this episode will inspire you and enlighten you. What is the bible all about? How should we read it? Why should we read it? Let's answer these questions today! We also get to hear Michelle's inspiring story of how she ended up at Point Loma. University of North Carolina at Greensboro alumni, Kayla Perry, was faced with the really hard reality of too many concussions. Listen to her whole story and how God ultimately found her through all of it. UNC Greensboro soccer alum - Kayla Perry, reflects on her high school days when she suffered from performance anxiety. Her dad was that intense soccer dad who wanted the BEST for her, and yet as pressure got too big to impress him, she began to crumble. Can you relate? Maybe it's a parent, a coach, or even yourself, but when you get so anxious to perform well, it can often cripple your game. Here Kayla will tell us her story and encourage us in specific ways. Becky is a pastor/writer/speaker whose heart is on fire for Jesus. She went from being a 4.0 athlete who had gotten lost in addiction and brokenness, to becoming a woman of God, free and empowered with the Holy Spirit! Hear her whole testimony in this episode, including a charge for you to ignite your faith and love for Jesus. Here are three actions to take when you find out that you are not starting or not getting the playing time you think you deserve. Listen to a conversation reflecting on college sports: leadership, identity, body image, authenticity, and faith amidst it all. Click HERE for Mariah’s helpful list of resources. What is femininity? Can you be feminine and still be a strong athlete? Does being competitive or sporty make you less feminine? Then why is, "you throw like a girl" used as an insult? University of Pacific soccer alumni, Hannah Terry and host Natalie Lawrence discuss these questions! Listen in as Hannah and Natalie talk through their own experiences and thoughts as female athletes. Acknowledging that men and women are different, how do we navigate these challenges? Here are Natalie's 6 non-negotiable qualities that a captain of a team MUST have! 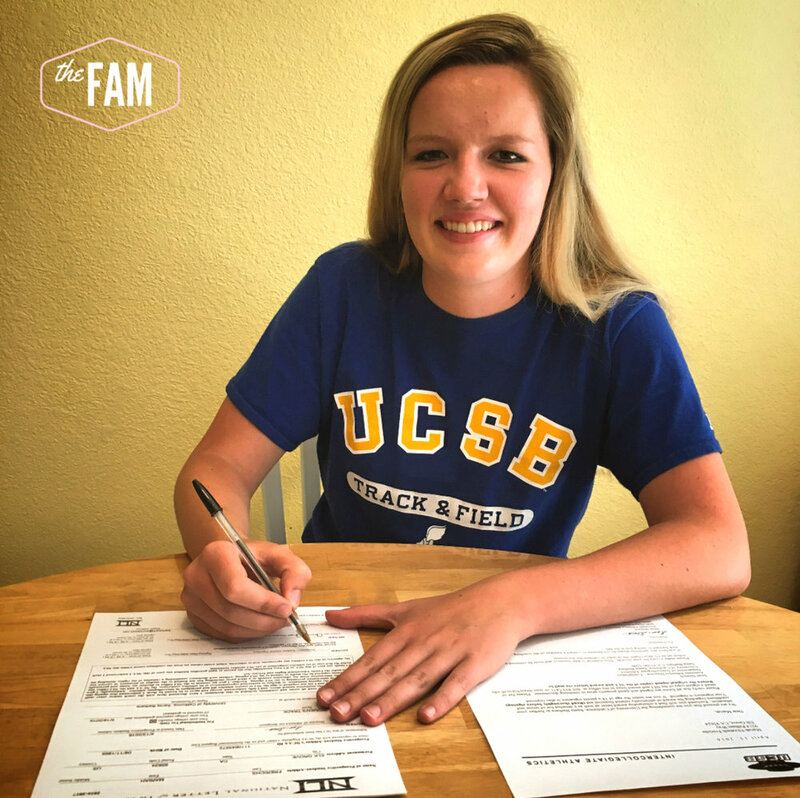 Hope Bender is a senior on the track team at UC Santa Barbara. She competes in the heptathlon, which is a combination of seven events over two days! 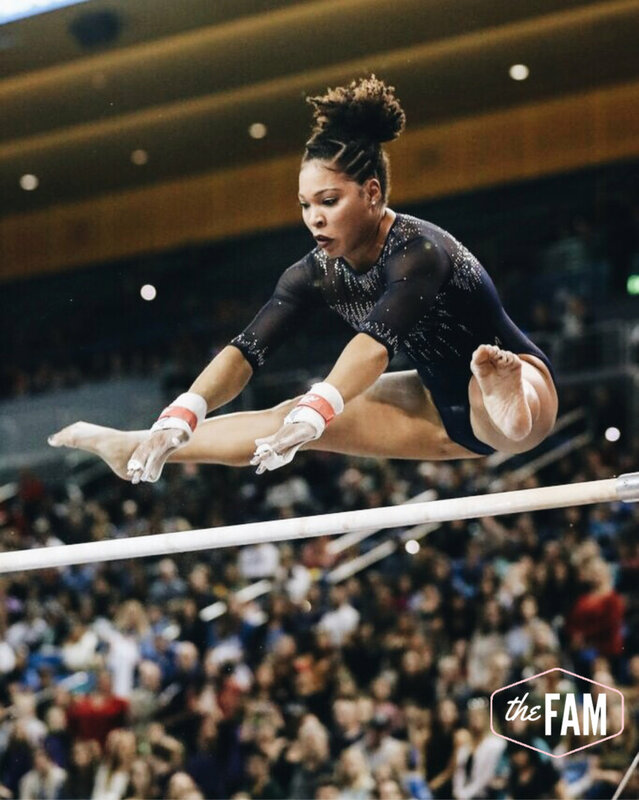 In this episode, Hope shares with us the mental and emotional strength it takes to compete in such an intense sport. We also talk about her sophomore slump and how it almost destroyed her and her faith. But instead, she was able to grow stronger through it. Current clinical psychology doctorate student, Kaitlin Patton, unpacks the mental health of an athlete. This episode is focusing on the "depressed athlete", which is part TWO of this two week series. Current clinical psychology doctorate student, Kaitlin Patton, unpacks the mental health of an athlete. 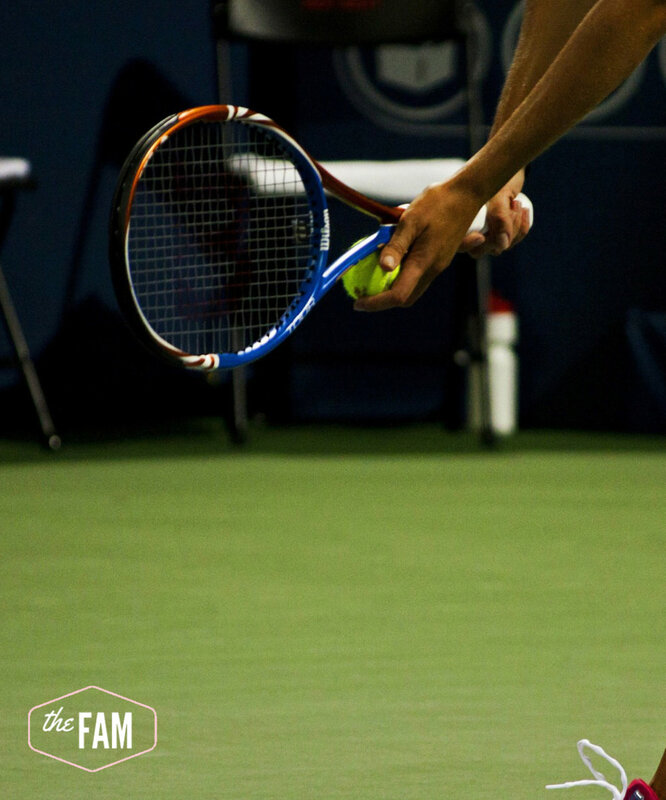 This episode is focusing on the "anxious athlete", which is part ONE of a two week series. 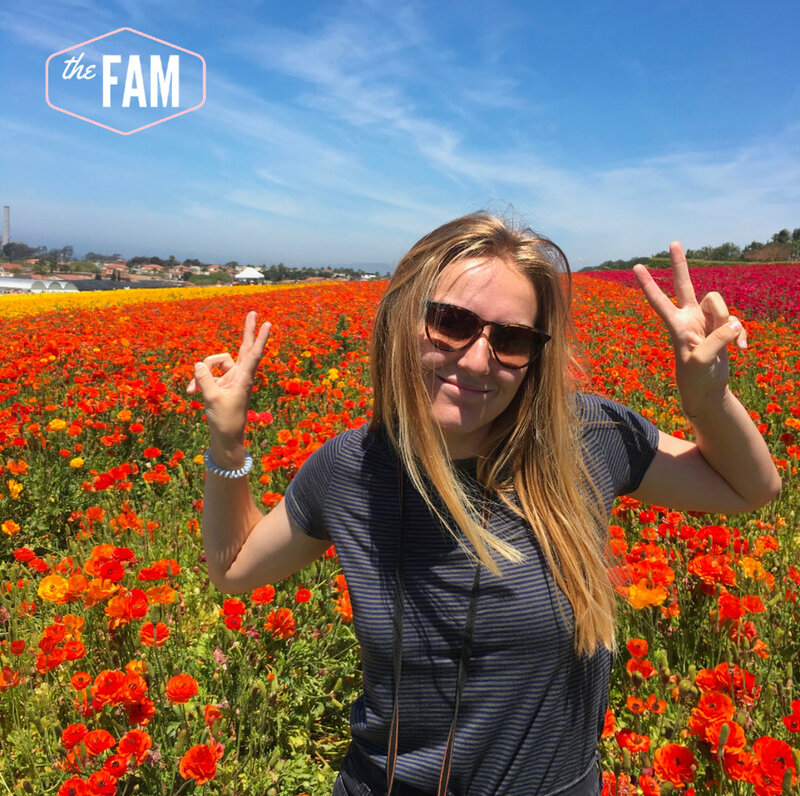 Vanguard University soccer player, Bryn Chesser shares her journey of growing up a Christian, going to a Christian college, and then dating a non-Christian dude. How did it work in her life? Did it influence her faith? How did she feel about it then and how does she feel about it now? JaNay worked her way from being an unassuming recruit, to a walk on at UCLA, to a National CHAMP! Listen to her whole story - trusting God and working incredibly hard. "Be anxious for nothing, be thankful for everything. Compete for an audience of One. Listen HERE for APPLE -or- HERE on SOUNDCLOUD. Natalie Lawrence talks about three ways God is challenging her to step up as a leader. This episode will inspire you to do the same! Listen HERE ON APPLE -or- HERE ON SOUNDCLOUD. 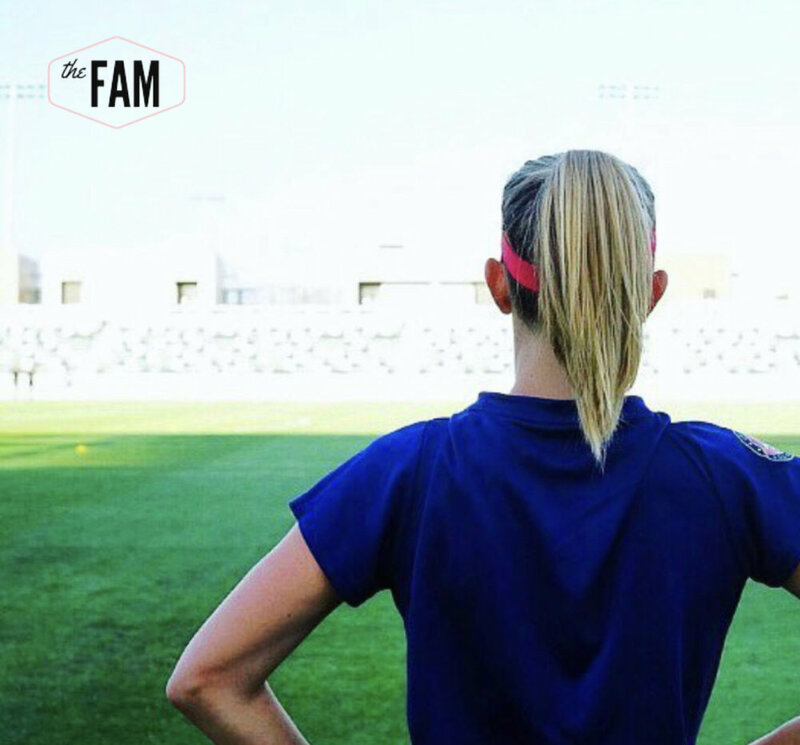 Professional soccer player Elizabeth Eddy shares with us the struggles amidst her current season with the North Carolina Courage. Even though she's not getting the playing time she wants, she is still finding joy and purpose from the Lord. She gives us some practical tips on how to continue when we aren't where we WANT to be yet. She encourages us to continue pursuing our dreams, being honest with God the whole way. LISTEN HERE! Casey was a lacrosse playing, ASB loving, Pastor's kid in high school. Her life may have looked good and busy from the outside... but after a traumatic event, she became really anxious on the inside. In this interview, Casey tells us all about how her anxiety started and how she has taken steps to conquer it. You will leave this interview encouraged, with practical tools to implement in your life TODAY. LISTEN HERE! Are you overwhelmed with a big decision? What college to go to? What major to choose? What jobs to apply for? In this short episode, you will leave with 3 important tips in figuring out the answer to these questions. LISTEN HERE. Natalie talks with Ali Woodward, a high school junior who is on the dance team at Newport Harbor High School. Is dance a sport? Can Christians be dancers? How can you experience God when you dance? Ali gives us all the scoop and shares a story of how one dance number changed her life and taught her to trust God. Ali is honest, articulate, and REAL. Enjoy the interview here! Natalie shares 4 encouragements for starting something new. As competitive athletes, it's really hard to start at ground zero. We get discouraged, we compare, we get anxious, and doubt ourselves. Listen HERE to these four encouragements to combat this negativity. Nicholle faced consecutive injury during her first year playing division 1 college soccer. In our conversation she explains how hard it was and yet how much God was there through it all. Listen to the conversation HERE!